WASHINGTON — Long Island’s Republican congressmen, Peter King and Lee Zeldin, endorsed Donald Trump after the New York entrepreneur and reality TV star effectively clinched the nomination as the Republican presidential candidate on Wednesday. King, of Seaford, and Zeldin, of Shirley, said previously that they would back their party’s nominee before this year’s primaries and caucuses whittled away 16 of the 17 hopefuls. “I will vote for him and I will endorse him,” said King, who had supported former Florida Gov. Jeb Bush and then Sen. Marco Rubio (R-Fla.) during the primaries. “Even though I don’t agree with Donald Trump on everything, and I think there may be certain things or statements of his that I may disagree with, he is a better candidate by far than Hillary Clinton,” Zeldin said in a telephone interview. King and Zeldin acknowledged that Trump will have to overcome negative impressions he has created in remarks about women and Latinos, and with his personal attacks on rivals. Both said they do not expect Trump to be a major factor in their own bids for re-election this year, even though the Democratic Congressional Campaign Committee has made Zeldin’s positive comments about Trump a campaign issue. 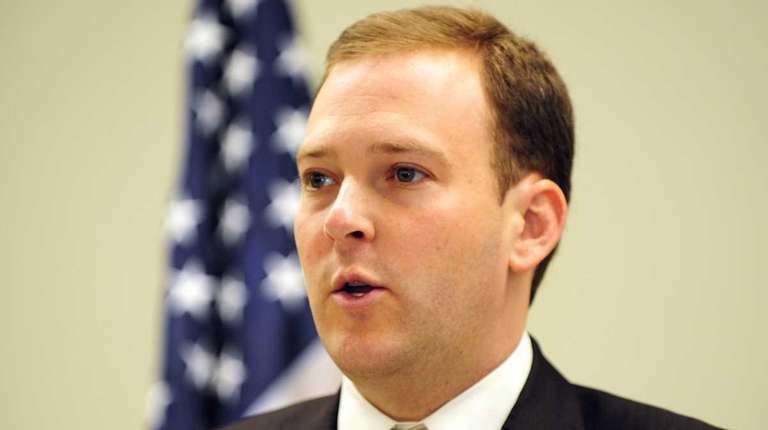 “My first priority always has been and remains working on victories for the First Congressional District,” Zeldin said. King and Zeldin said the success of Trump’s presidential campaign is in his own hands. Trump contributed $4,600 to King in his last two races. Trump donated $2,000 and recorded two robocalls in 2014 to help Zeldin. Both King and Zeldin said they have met Trump only a few times. King and Zeldin joined New York Republican Reps. Chris Collins of Clarence and Tom Reed of Corning, as well as New York GOP chairman Ed Cox, in endorsing Trump.